This article first appeared in The Edge Financial Daily, on July 7, 2017. 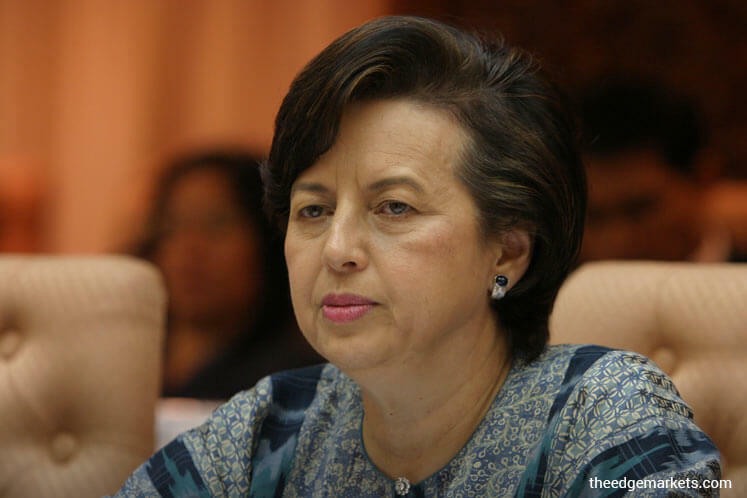 KUALA LUMPUR: Former Bank Negara Malaysia (BNM) governor and chairman of Iclif Tan Sri Dr Zeti Akhtar Aziz said the concept of leadership in the 21st century demands new thinking. This new thinking, she said, takes into account the increasing rate of change, the complexities of a more globalised world, and the need for sustainability in the face of heightened uncertainty. “Unlike conventional thinking, leadership has nothing to do with one’s position, title or authority. Rather, leadership [now] is about the drive to create a better future, and having the inner energy to keep going despite resistance and obstacles,” she said during her keynote address at the launch of the 2017 Leadership Energy Summit Asia (Lesa) yesterday. Zeti also touched on the importance of “Open Source Leadership” — the theme for Lesa this year — which seeks to explore what it takes to be a transformative leader in the 21st century, who must reinvent themselves to thrive in a connected, transparent and disruptive environment, and how technological empowerment has transformed companies into open-source organisations. Iclif chief executive officer and executive director Rajeev Peshawaria said Iclif had conducted a 28-country study on “Open Source Leadership”, and participants of the Lesa summit will have the opportunity to understand the concept further. Into its fifth year now, the 2017 Lesa will once again bring together "courageous leaders, high-profile business personalities and cutting-edge entrepreneurs who have confounded conventional thinking and explored the real source of transformative leadership,” said Zeti. To be held in Kuala Lumpur on Nov 8 and Nov 9, 2017, among the speakers who are headlining the summit this year are animation studio Pixar co-founder Dr Alvy Ray Smith, founder and chairman of mixed martial arts event ONE championship Chatri Sityodtong, and founder of online travel company kayak.com Terry Jones. The summit has also been the platform to announce the recipients of the Iclif Leadership Energy Awards (Ilea). This year, Ilea has formed an advisory council, led by Zeti, to provide a balanced perspective and insights in identifying, evaluating and awarding outstanding individuals. The other advisory members are captains of industry like Maxis Bhd chairman and director of Khazanah Nasional Bhd Raja Tan Sri Arshad Raja Tun Uda, UEM Sunrise Bhd chairman Tan Sri Zamzamzairani Mohd Isa and chief executive of the Human Resources Development Fund Datuk CM Vignaesvaran Jeyandran. Nominations for Ilea can be submitted online via Iclif website before July 31, 2017.